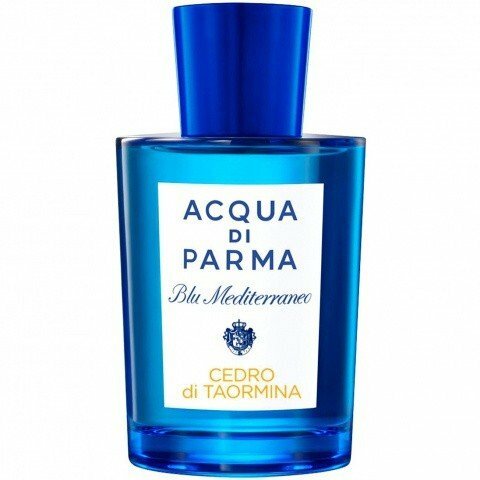 Blu Mediterraneo - Cedro di Taormina is a popular perfume by Acqua di Parma for women and men and was released in 2016. The scent is citrusy-fresh. It is being marketed by LVMH. This fragrance shows once again how different the tastes and noses are. Everything with ratings from 5.5 to 9.5, that's an enormous range in which you could easily park a 40-tonne articulated lorry. In other words, this CdT is anything but everybody's darling. For me one of the best summer fragrances on the market. CdT launches as I would like a summer scent to, namely shaky fresh. A real kick, a stand-up, a good mood maker. Right from the start various woods play along, only in the background, with increasing duration more and more dominating. Nevertheless, the freshness remains present during the entire time to a very pleasant extent and accompanies its wearer throughout the day. For the fragrance itself I give a glossy 9. Sillage: hmmm, well, honestly, Acqua di Parma let some air up. Within the first half hour clearly audible, but then gradually flattening out and finally only weakly perceptible to the wearer himself. Too bad. 6 points. Shelf life: in my opinion it is similar to the Sillage, applied in the morning at the end of the day there is de facto nothing left. Too bad. A scent of this class deserved better. Also 6 points from me. The bottle is great, fits 100% to the name of the fragrance, looks classy, is of high value, in other words, looks and feel are perfect. 9 points. Summa summarum 7. With better Sillage and durability would have been here clearly more possible. As described at the beginning, for me a favorite for the warm months of the year, especially in southern countries Cedro fits like the proverbial fist on the eye. Displaced on cold days. And even if I am of the opinion that rather gentlemen will like him, I can also imagine ladies of creation in this (initial) cloud. I wasn't really going to like that scent at all. I was prepared to only test the sample sent to me by Puderduft18 (thank you!) en passant and maybe make a statement about it. But what can I do? Cedro di Taormina is talking to me. He tells me something and I think he's good. And I think he gets off too badly here on average (DaveGahan101s beautiful contribution from 2016 is one of the exceptions). I must say in advance that my impressions cannot be linked to the name, because no karma connects me with Sicily and Taormina. In Sicily, I think of Commissario Montalbano and a few classic educational offshoots, the Attic expedition, Dionys the tyrant at Schiller. From Taormina I know that there is no figure from the Magic Flute and that there is a pizzeria "Taormina II" in Berlin. There you can get very good pizzas from nice Italians for real prices. I'd say it's almost an insider's tip - if you take it with equanimity or with an amused look for the bizarre, sitting at an ugly busy intersection and between Old-Schöneberg pensioner couples and jogging trousers waiting for their pizza to go. In short, I can concentrate entirely on the inherent qualities of perfume. After a short transition phase (about 2 hours after applying the fragrance), which I find to be full, round and almost fruity, a wonderful base emerges, which - as mentioned - lasts for many, many hours and - at any rate - pleases me to the fullest. I perceive them as woody and spicy on the one hand, fresh on the other (almost aquatic), overall a dark green impression of deep forest and rushing brook, the.... i know very well one of the first fragrances I bought consciously and which I still like very much today: It is Eau de Sauvage Extrême by Dior, a fragrance which I think is underestimated, perhaps because it is "only" a flanker, and to which I have already dedicated a defense comment here. A glance at the pyramids confirms the finding: almost all fragrances are present in the same or a similar way in both fragrances, although they are sometimes assigned to the base note and sometimes to the top note: Basil, lavender, cedar and vetiver are identical, a citrus note combination in the top note both have and in one case we find Elemi, in the other Labdanum, both are tree resins which I suppose are similar in smell. I am happy about the confirmation that after one and a half years of active testing and perfume membership I have more and more such objectifiable and verifiable rediscovery experiences. I don't know whether Acqua di Parma has cribbed or whether there is a "pseudoplagiate" in the sense of Stanislaw Lem, at least I like the result very much. Maybe I'll let the two of them compete again in the double test. Apart from the tourist Taormina association (of course a clever marketing strategy, possibly sponsored by the Italian Tourist Association), I have rarely smelled a fragrance that smells so natural, authentic and for me as expected of what is in it and what is written on it. Therefore a big compliment to the creators of this EDT. 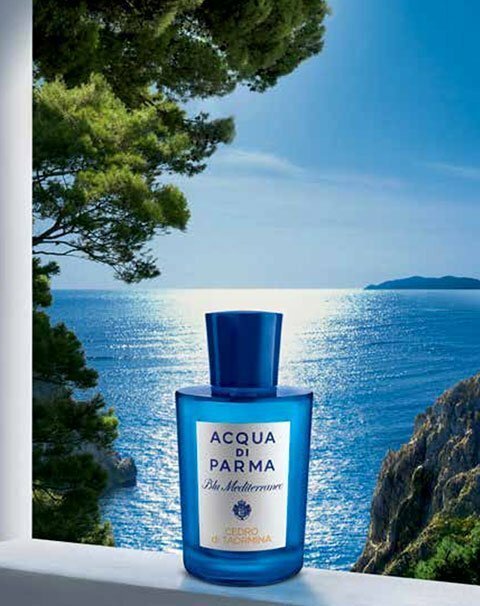 I will certainly try out other fragrances of the Blu Mediterraneo series. First of all, I chose this one because I liked the idea of mixing herbaceous-woody and citrus-fresh. And indeed: Already with the first spray I thought I was in a summer cypress garden somewhere at the Mediterranean Sea. Of course: Cedro di Taormina is a summer scent and (also an old hat) fresh and light scents naturally do not last as long as sweet and heavy ones, but otherwise the creators here in my eyes have done everything right... not to mention the great bottle, which reminds a bit of pharmacy inventory from the first half of the 20th century. On the positive side, I would also like to point out that, unlike many other citrus scents, a salty note does not appear after a while. For me this is clearly more of a men's than a women's fragrance. That's why Cedro di Taormina moves straight to my now well-filled perfumed water shelf, even though autumn is gradually approaching. Addendum: Something about Bleu de Chanel, especially in the top note. Later on, however, it is more citric with slightly less durability and complexity. But stay closer to nature. The best of the blue line together with Fico di Amalfi.